A new Netflix series billed as the teenage “Breaking Bad” is inspired by a real-life German youth who ran an online drug empire from his bedroom, its creators told AFP. The makers of “How to Sell Drugs Online (Fast)” even met up with Maximilian S. on one of his days out of prison where he is serving seven years for “running the Amazon of illegal drugs” — selling everything from MDMA to marijuana. While his mother thought of him as a “lazy and grumpy” 19-year-old who wouldn’t leave his room, he made 4.4 million euros ($4.9 million) worth of Bitcoin in little over a year from his Shiny Flakes online store. Police still couldn’t access all of his Bitcoin accounts when he was jailed in 2015. “When you think of the drug business, you think of the Cali cartel and Pablo Escobar,” said the series’ makers Philipp Kassbohrer and Matthias Murmann Sunday as it was premiered at the Canneseries festival in the French Riviera resort. “But this young German weirdo guy who was doing this himself was having a big effect on the European drug market. “He was the best dealer in Europe and he didn’t just do it in the Darknet (that part of the internet hidden from public view), he did it in the clearweb,” Murmann said. The young man they would later know as “Max” — who was treated as a juvenile by the courts — turned up one day at their offices when the series was still being shot after he heard his story had been picked up. “We thought he was making it up. But it was him,” said Murmann, a self-confessed geek himself. “He had to sleep in jail but he could travel around during the day. It was interesting to get his mindset,” and to find out how proud he was of the “customer experience”. He even showed the director “how he arranged the MDMA in boxes. ‘No, I did it like this,’ he said. It as a real headspin for the actors,” Murmann recalled. 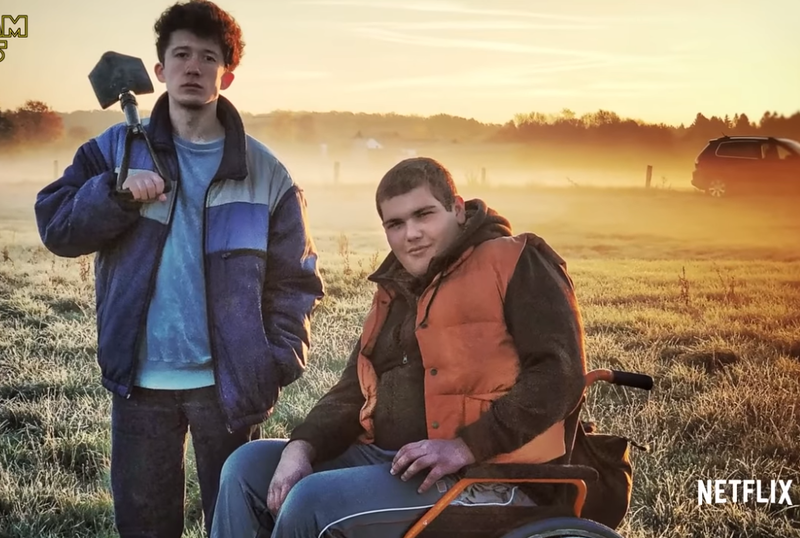 By that point, shooting had already begun of the show, which they had turned into a buddy story of a 17-year-old high school student who sets up a drugs site with his wheelchair-bound best friend to try to win back his girlfriend, who has returned for a year out in the US as pill-popping party animal. “It was inspired rather than based on him because when we dug into his true story we found it was very short and boring,” Kassbohrer added. The pair, whose BTF studio makes late-night TV shows and computer games, used fast editing and smartphone-style pop-ups to recreate the superconnected lifestyles of Generation Z teenagers. Kassbohrer said “Max” was like many of this age group, trying to make their mark but in his own terribly misguided way. “He really is a nice guy but you cannot forget that he did something very criminal and he was connected to people who were doing even bigger criminal things. “He didn’t think it through, he was just focusing on the user experience and the technical side,” Kassbohrer added. “How to Sell Drugs Online (Fast)” goes online on May 31.